Pieces of tumbled Kambaba Jasper, available in three sizes. 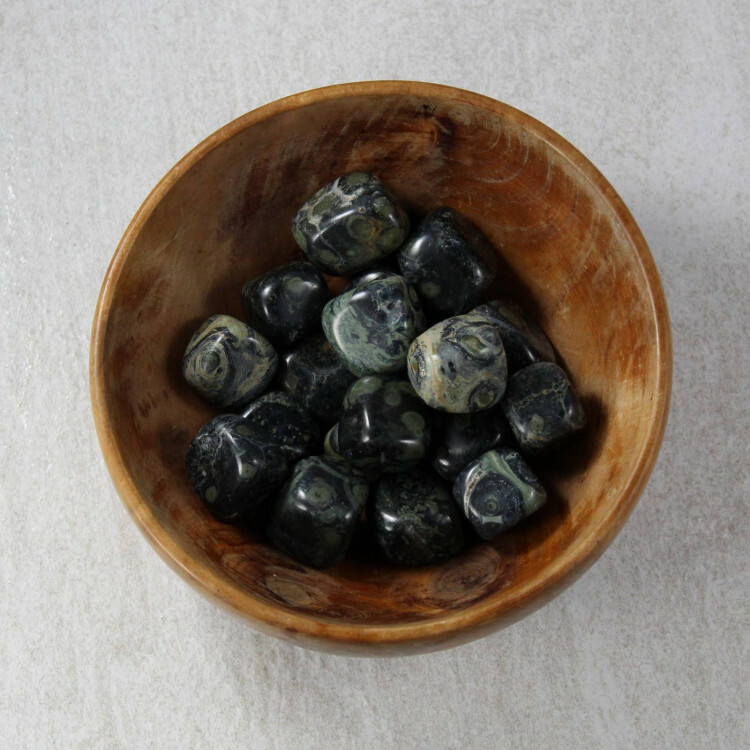 Kambaba Jasper Tumblestones, available in three different sizes from small to large. These stones are an interesting dark mix of blacks, greens, and whitey-cream colours. 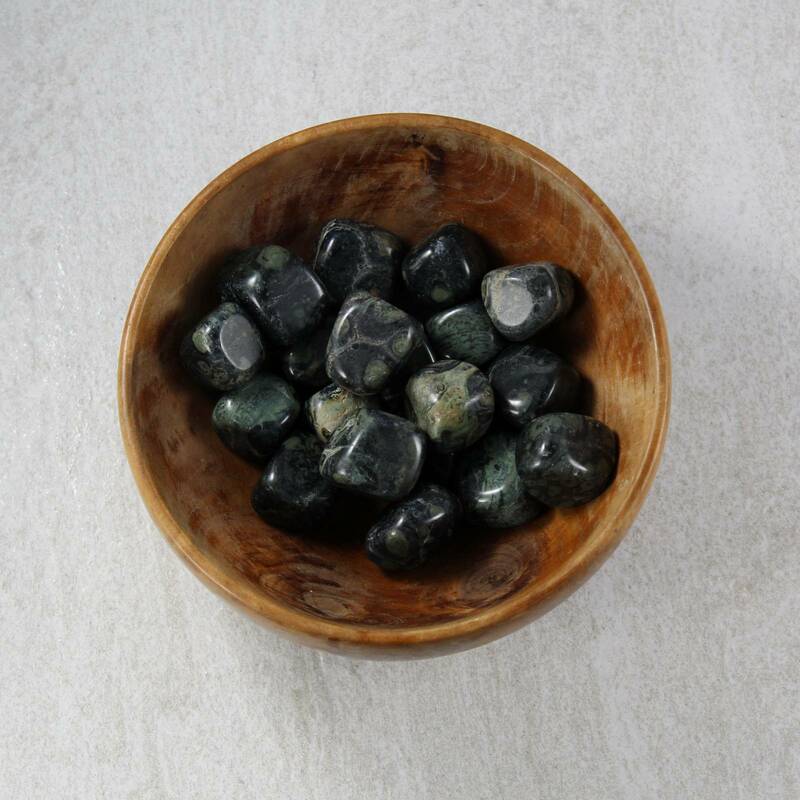 They make an interesting contrast stone when paired with brighter stones, or white stones – ideal for use as fish tank gravel, or a decoration in a small bowl or vase. We sell single stones, and larger packets containing 10 tumblestones. To find out more information about Kambaba Jasper, including geological information and crystal healing, please see our main ‘Kambaba Jasper’ page. This page also contains a full list of our Kambaba Jasper products, including tumblestones, and occasionally rough pieces.